“Kittiwake is a one tenth scale twelve metre yacht designed by Roger Stollery as part of the development work for the 1983 America’s Cup challenger, Victory 83. 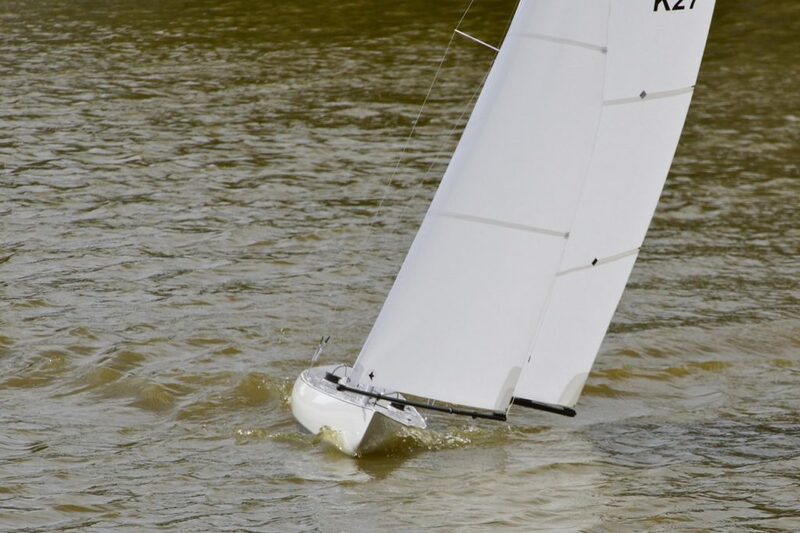 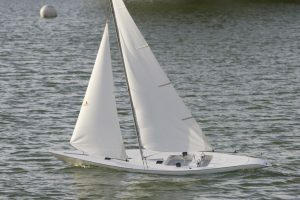 “Model yacht designers Roger Stollery and Dave Hollom worked with Peter de Savary’s designer Ian Howlett on alternative design ideas for the challenger. 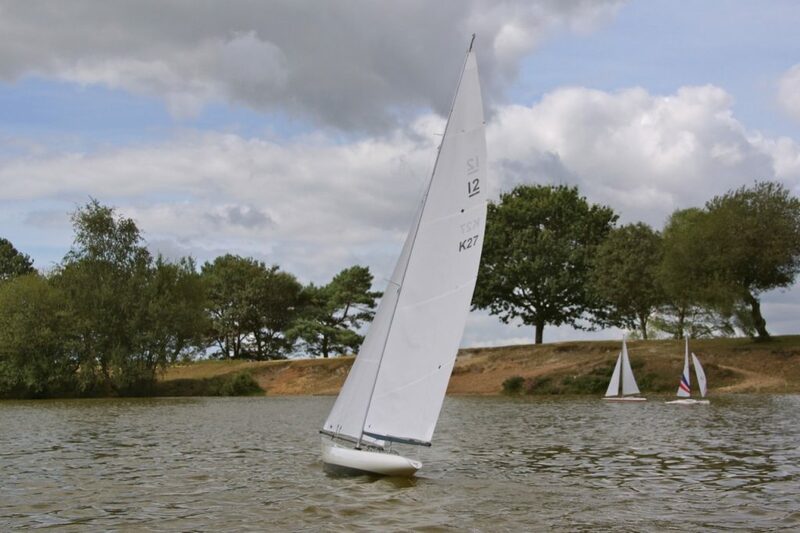 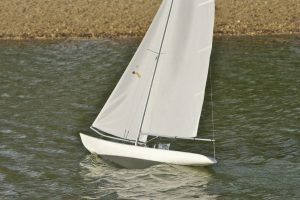 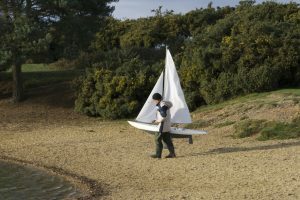 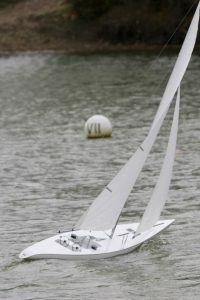 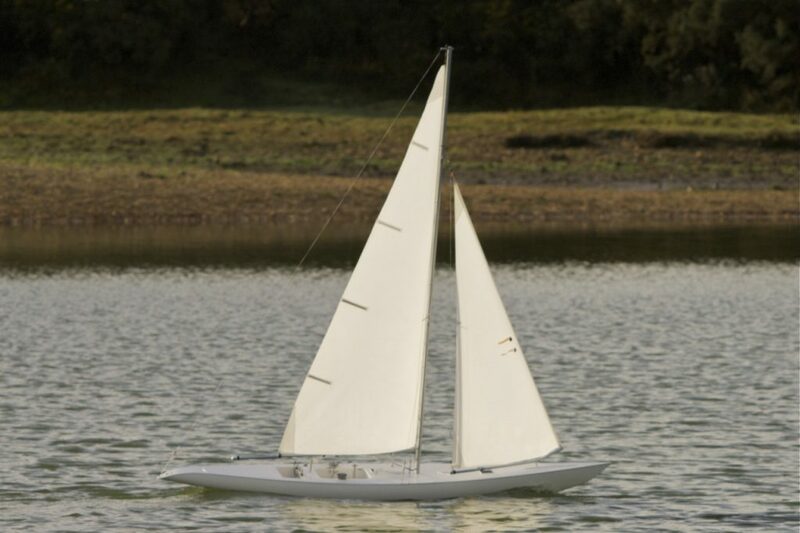 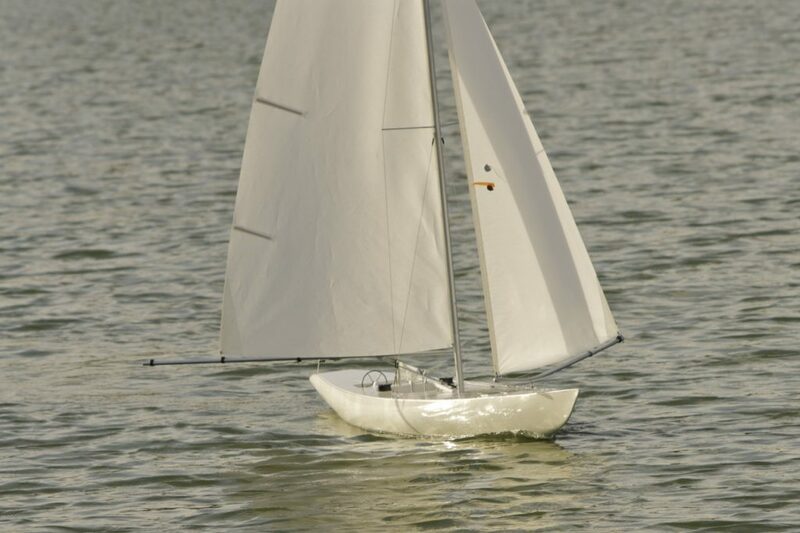 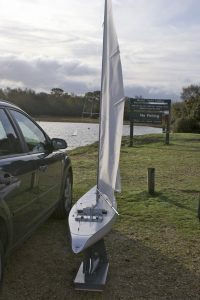 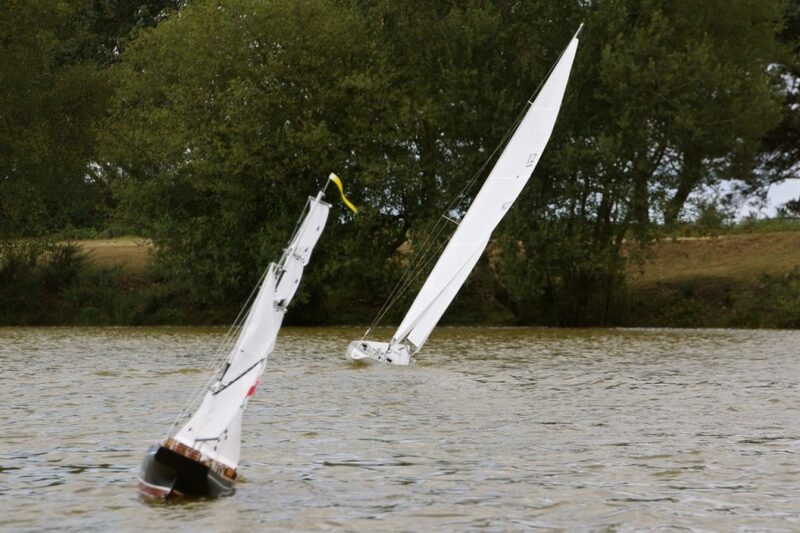 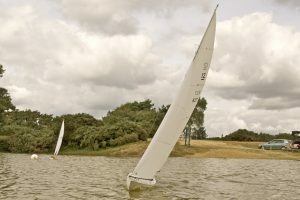 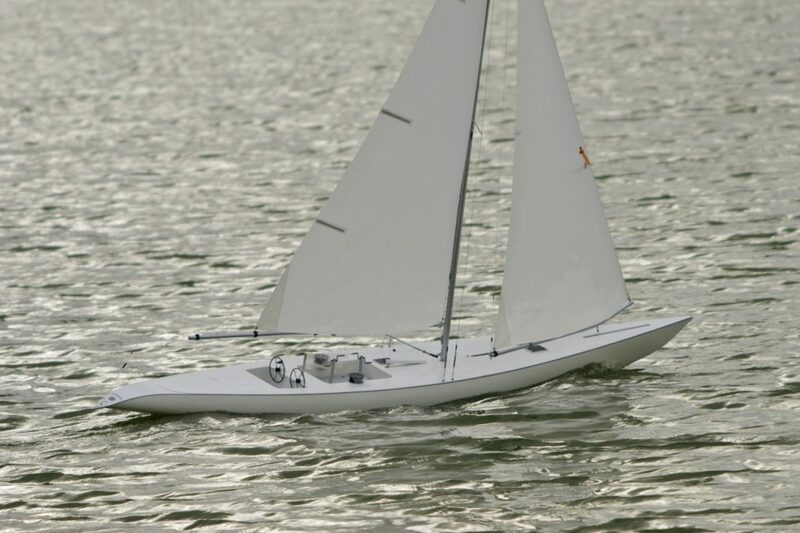 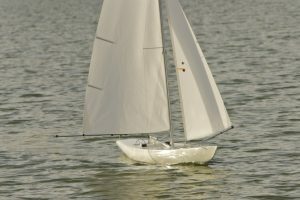 Project Acorn as it was known involved comparing the performance of various new designs using one tenth scale models of Lionheart (an earlier Ian Howlett design) and the Swedish twelve metre, Sverige. 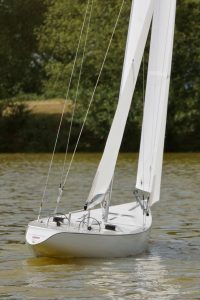 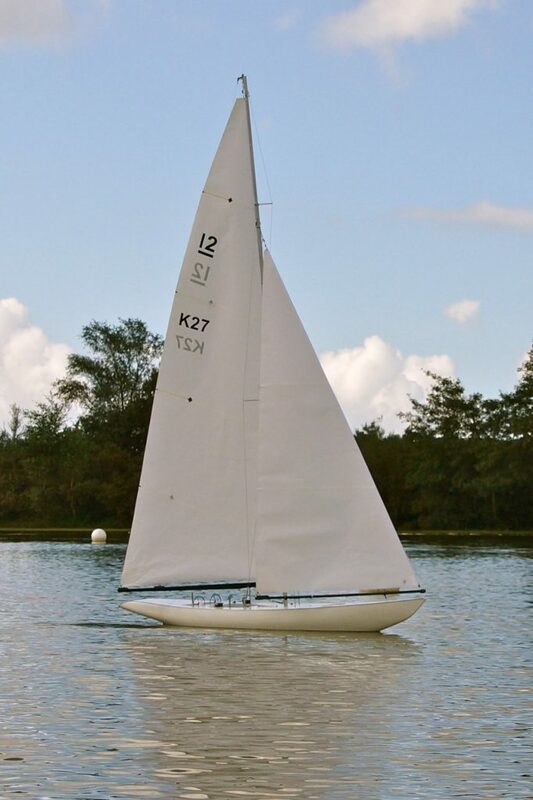 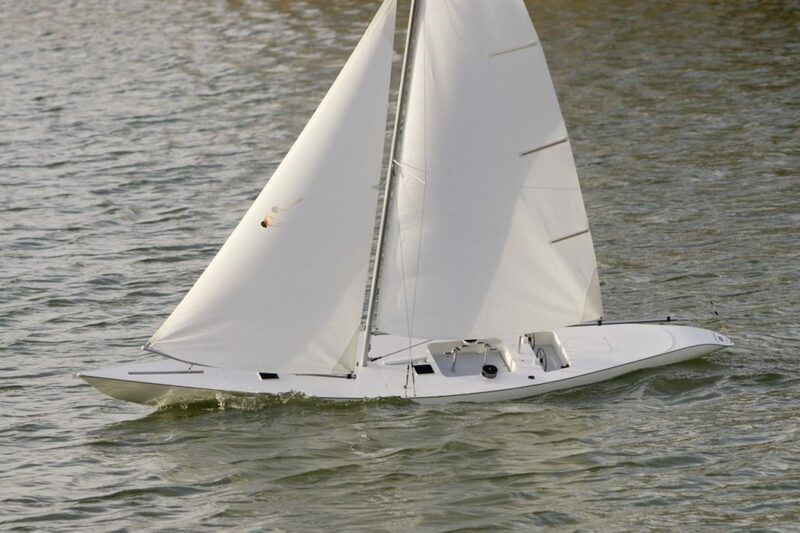 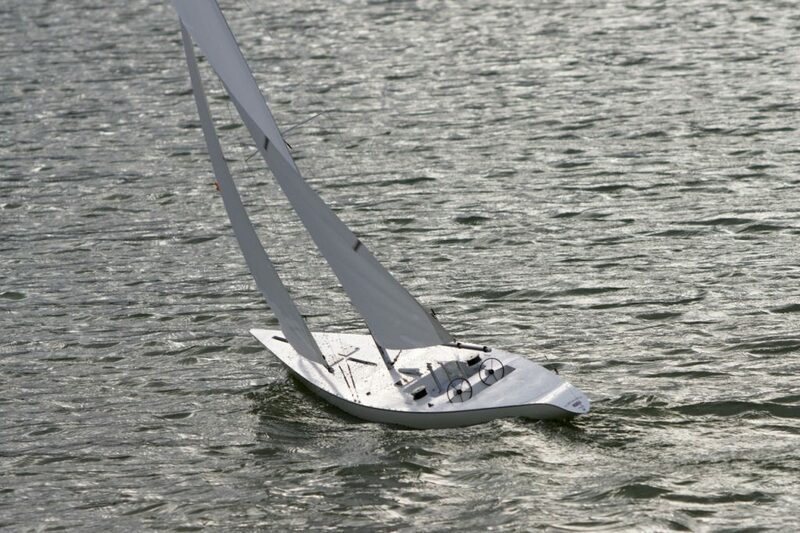 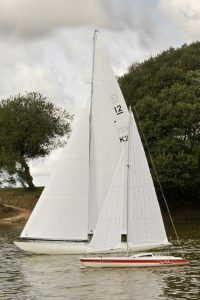 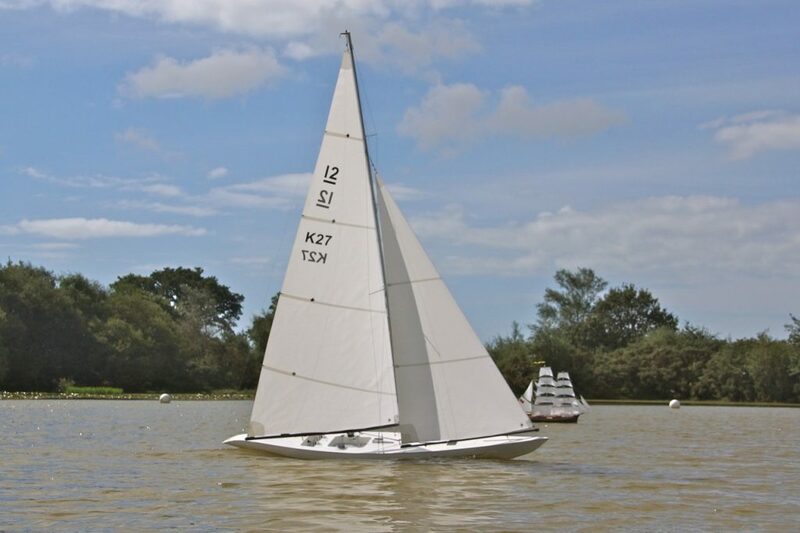 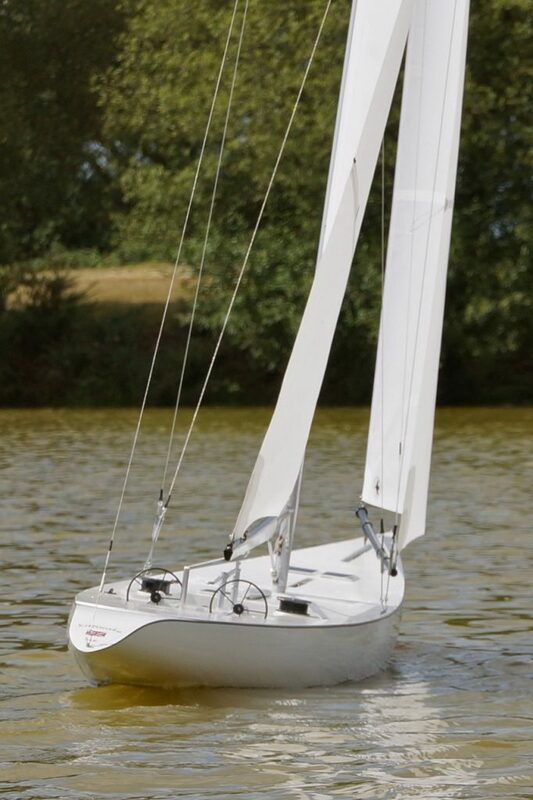 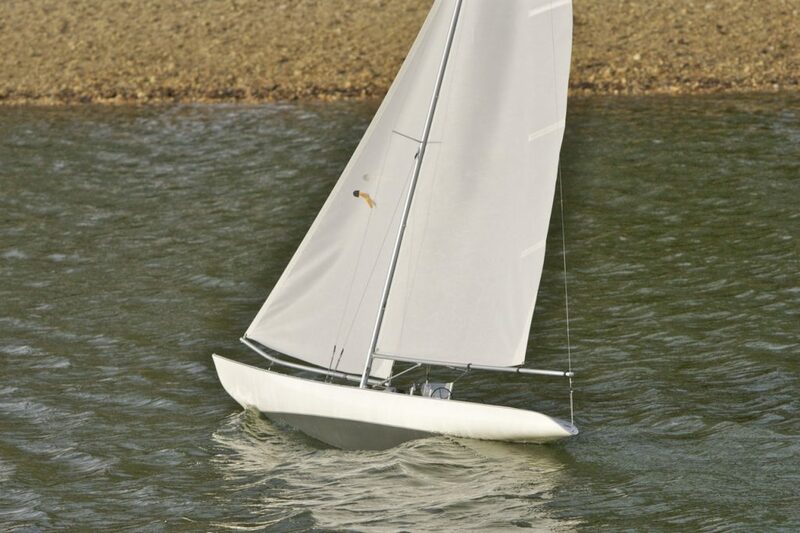 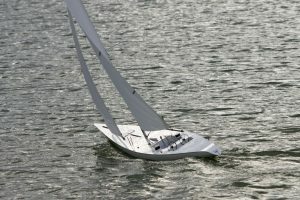 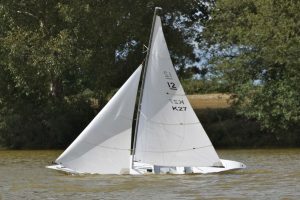 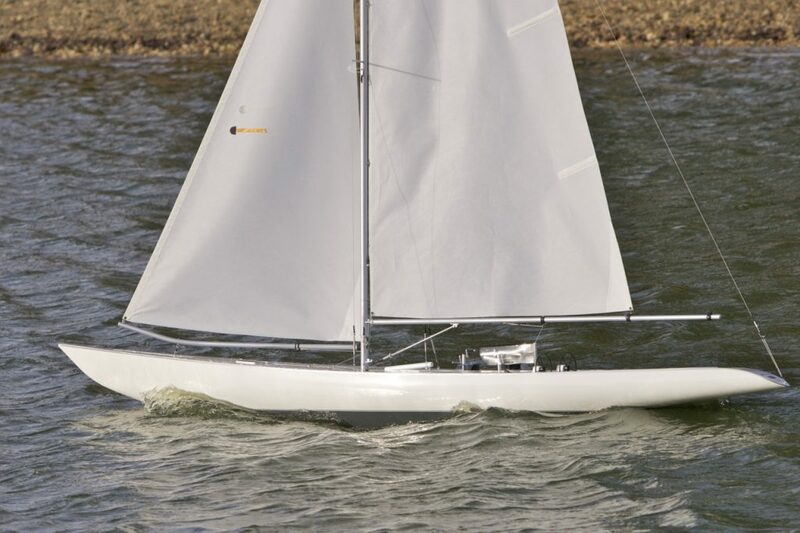 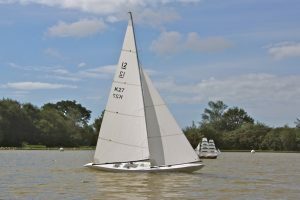 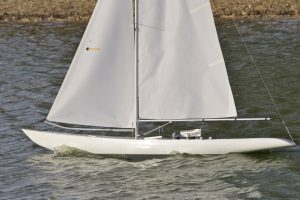 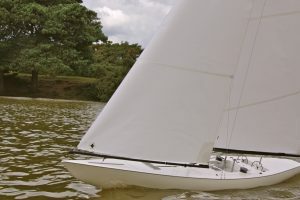 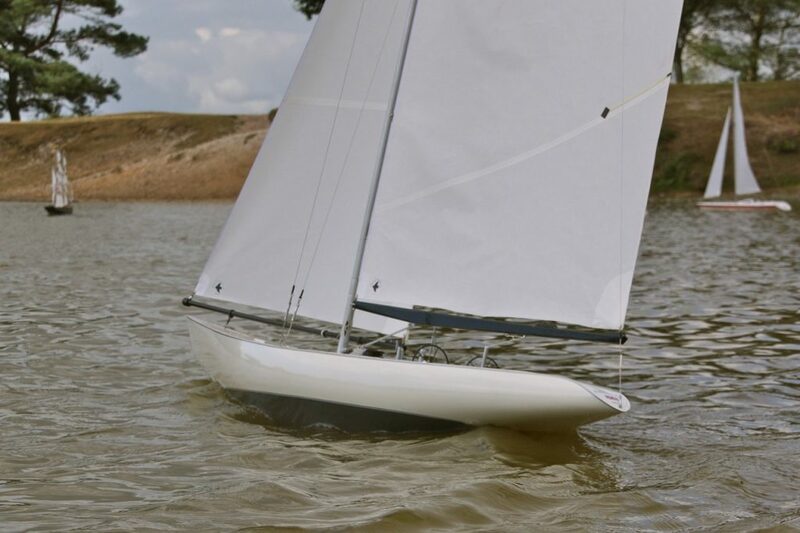 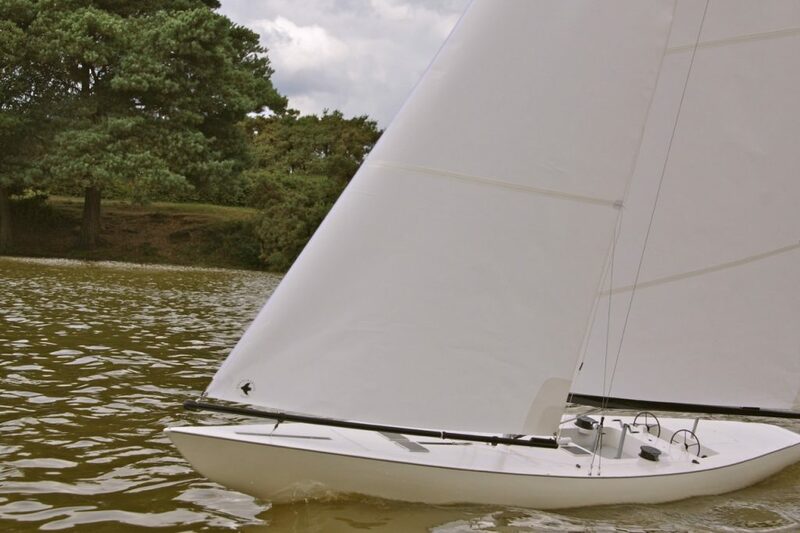 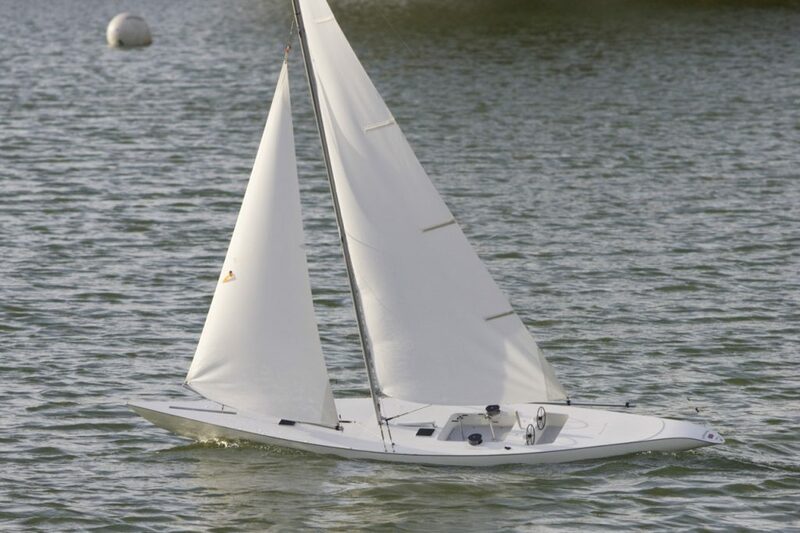 Kittiwake is a design called Wake and was one of four produced by Roger Stollery. 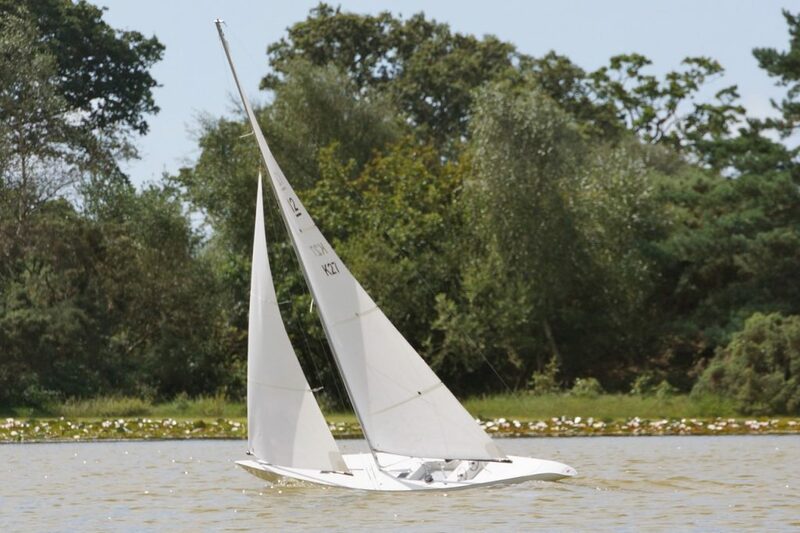 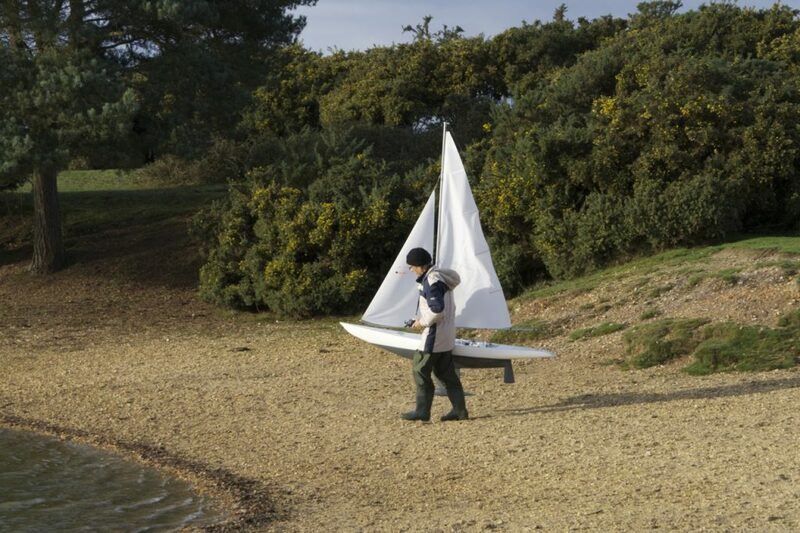 “I was given the bare hull by a friend who acquired it as part of a garage clearance. 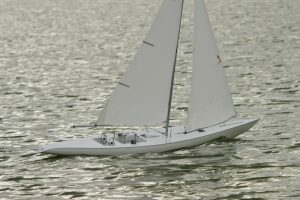 It turns out to be a Bob Underwood hull and I believe about 15 were made. 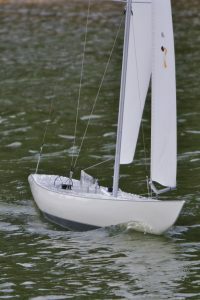 When I contacted Roger Stollery to get the background on the design he was kind enough to let me have the original sails and drawings of alternative rigs to convert the boat to A class rules. 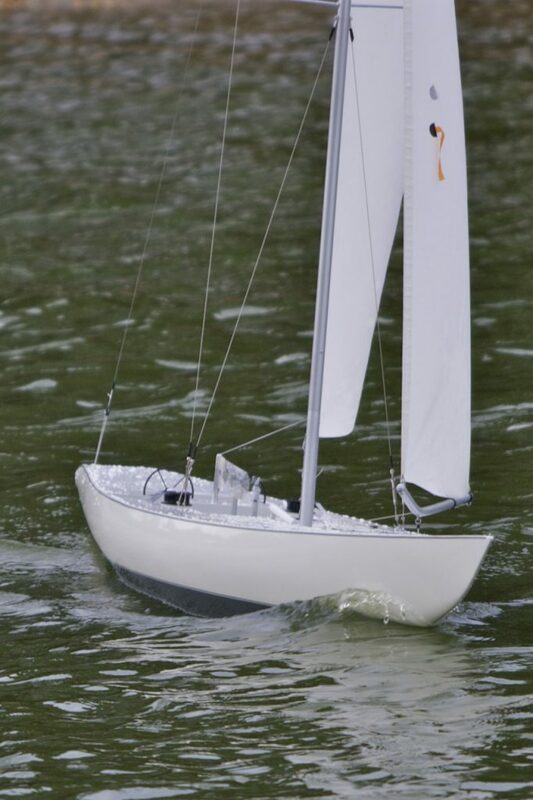 However, my interest lies more with semi scale yachts so I wanted the full twelve metre rig. In order to use full sail in reasonable wind strengths I have made a much deeper keel than the original, adding 120mm to the draft. This seems to work reasonably well. 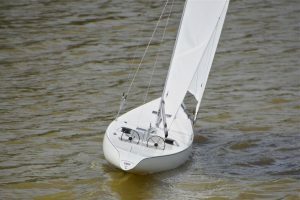 The sail area of the top suit is just under two square metres which is a handful to rig but looks impressive on the water!